I don't get the logic that says the Brexit referendum has left the UK divided. Well, maybe it has, but wasn't it already divided? I mean, minus the Brexit referendum you'd have had a disaffected MAJORITY, powerless, unable to express its wish that the country leave the EU. How is that preferable to a divided nation where you have a disaffected MINORITY? I know I'm just about the only person out there who feels this way, but I have great respect for David Cameron as he bows out. 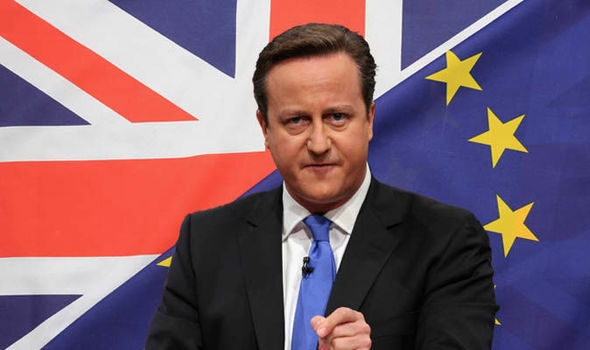 During the election campaign he promised to hold a referendum on EU membership, something that seems to have been an unfulfilled pledge for nearly 20 years now. So then he does the unthinkable and FOLLOWS THROUGH on his promise! I mean, how dare he do what he said he'd do during the campaign? He called for the referendum then did his best to secure a REMAIN vote, but it wasn't enough. He didn't find the right formula, which I actually believe he might have, and the UK voted itself out of the EU. And now Cameron, having failed, has fallen on his sword. He's gone not because of negligence of duty or corruption or abuse of power, but simply because he followed through on his promise and failed to secure the REMAIN vote he believed in. So he's gone, a failure. I guess. But to my mind, Cameron is leaving the political stage with more honor than any national political leader I can think of (especially from a parliamentary system like they have in the UK & Ireland).